Seventy percent of the price of unleaded petrol now goes to the chancellor in tax. This is the highest proportion for almost six years. With the average petrol price standing at 109.6p a litre the Treasury now receives 76.25p (70%) of this in taxation. For diesel, the total tax take is 66%. Because fuel duty is set at a flat rate and makes up the bulk of fuel taxation, the Chancellor is able to rely on his tax income from fuel remaining quite steady even as the underlying price of petrol and diesel falls. “An astonishing 70p in every pound we spend at the pumps is now destined for government. 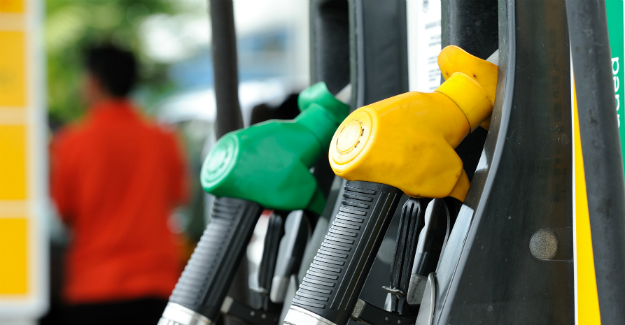 “Last week the Chancellor again publicly urged fuel companies to pass on oil price reductions to motorists. Clearly he thinks the price of fuel is still too high. Well he has an easy solution. Cut duty further. “We estimate that collectively UK drivers are £330 million better off each month compared with last summer because of price reductions at the pumps. Yet they could be better off still, and have more money to spend on the high street, if the Chancellor revised downwards the huge proportion of tax he takes from motorists and hauliers. “It is fair that drivers should cover the costs they impose on society through things like road accidents, carbon emissions and poor air quality, but we have never had any precise calculation as to how these costs relate to the level of fuel duty. If you would like to embed any charts on your website please contact us for the embed code.